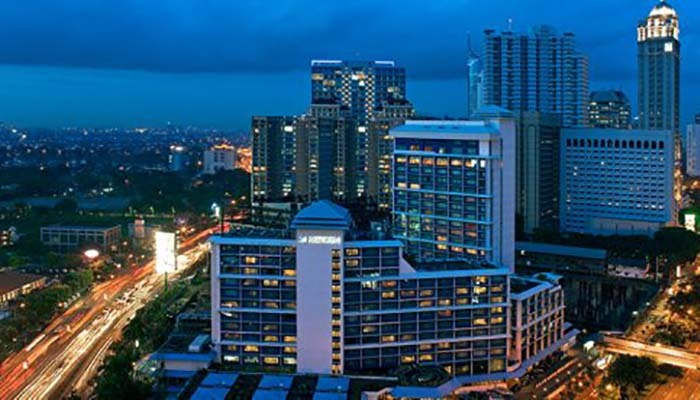 Indonesia has a rapidly growing middle-class population and is rich in natural resources. As clients seek to expand into this emerging economy, Shobhit Gandhi, emerging markets development director at AXA XL, discusses the risks and opportunities for buyers of international programmes. What are some of the major opportunities and challenges for clients in Indonesia? Indonesia has the world’s fourth-largest population and is predicted to become the world’s fourth-largest economy by 2050 in terms of GDP measured by purchasing power parity. Foreign direct investment flowing into Indonesia continues to grow due to resilient economic growth, stable tax rates and prudent fiscal management. The population is growing, is relatively young, and there is an expanding middle-class. Indonesia is rich in a vast range of mineral resources, and the government and business community are making strides to invest in infrastructure and local industries. There is, however, a degree of political uncertainty due to the looming elections in the country and some religious tension, which insurance buyers need to be aware of. Presidential elections are scheduled for April 2019, creating short-term headwinds for investors and clients. Other challenges include excessive and unpredictable regulations, the risk of terrorism and corruption. The country is also highly susceptible to external economic forces, particularly since its economy is highly dependent on exports to the US and China. Indonesia is exposed to natural catastrophe risks as well, like earthquake, tsunami and volcanic eruptions, with the country’s capital, Jakarta, particularly prone to flooding. Insurers are working with clients to find ways to manage and transfer these risks. How is the economy of Indonesia changing and what does this mean for insurance buyers investing there? Indonesia has evolved from a highly agriculture-dependent economy, to an industrial and service-based economy. The economy is also transitioning from being a producer and exporter of raw, unprocessed commodities, to one with the capability to manufacture and produce value-added products for exports and domestic consumption. The construction industry is a key contributor to the Indonesian economy, due to significant investments being made in infrastructure by the Indonesian Government with the support of several overseas governments, particularly China under its Belt and Road initiative, and Japan. The government is also promoting overseas investments in infrastructure projects through public-private partnerships. In order to meet its energy needs and reduce the reliance on oil and gas imports, Indonesia is currently promoting private participation and investment in renewable energy sources. Tourism has also been identified by the government as an area of significant long-term potential. All this, of course, creates risk management and transfer exposures for companies investing in Indonesia. Clients are seeking insurance coverages for construction, marine project cargo, terrorism and energy risks, for example. What is the insurance market like in Indonesia and how do insurers work with buyers of international programmes that have business in Indonesia? The non-life insurance market in Indonesia is fragmented and competitive currently, with about 80 players. Some consolidation is likely in the near future, commentators believe, though that has yet to begin in earnest. The Indonesian insurance regulator, the Oturitas Jasa Keuangan, requires that domestic capacity is ‘optimised’ – both for insurance and reinsurance, before business is placed overseas. Local regulations mean that insurance buyers are required to complete a Know Your Customer application form when taking out a policy with an insurance company. Those purchasing property and motor insurances need to be aware that these insurance coverages are governed by local tariffs. In addition, there are local retentions that are required for property insurance, which are based on the equity of the local business subject to minimum and maximum amounts. While there are numerous local insurers, a large amount of insurance and reinsurance business is underwritten overseas due to a lack of domestic capacity to absorb all the business generated locally. For multinational clients with insurable risks in Indonesia, AXA XL has the capability to underwrite these risks using a local fronting partner. For Asia, the fronting partner relationship as well as policy and claims servicing requirements are managed out of our Hong Kong office. International insurers with global operations and expertise in all parts of the risk transfer process, from underwriting through to claims and beyond, are able to work with clients with operations in Indonesia to arrange suitable insurance coverage. What are likely to be the risk and insurance challenges for Indonesia in the near future and how are insurers exploring solutions to those? Microinsurance is likely to be a key driver of growth for insurance in Indonesia, where a large proportion of the population – about half – remains around the poverty line. At group level, AXA’s emerging-customer segment is already working on contributing to financial growth and inclusion in emerging economies through the delivery of accessible and affordable solutions to the underserved but emerging middle-class. Distribution will be hugely important, given the challenge posed by Indonesia’s geographical inaccessibility as an archipelago of about 17,000 islands. The use of smartphones and other technologies will likely be a useful way to distribute insurance products to the growing, and relatively young, Indonesian population. New Indonesian companies that rely more heavily on technology and follow a sharing-economy-style model also are beginning to emerge, and these will require non-traditional risk management and risk transfer solutions. The gap between economic and insured losses is quite wide in this catastrophe-prone country, as tends to be the case in emerging economies. For the country’s natural disaster exposures, insurance coverages with parametric triggers could prove to be an effective mechanism in insuring the risks that businesses and people face from earthquakes, tsunamis, severe floods and volcanic eruptions, either on a standalone basis or as part as a holistic risk management strategy. We are exploring ways to meet these challenges and develop products and solutions fit for the future, as Indonesia develops into an economic powerhouse.